Adrien Candiard is French and lives in Cairo. He completed his studies in history and political science, and he joined the Dominican Order in 2006. He graduated in theology and then settled in Egypt in 2012. He studied Arabic and completed his Master’s Degree in Islamic studies at the American University of Cairo. He is currently preparing a PhD from the École pratique des hautes études (Paris). 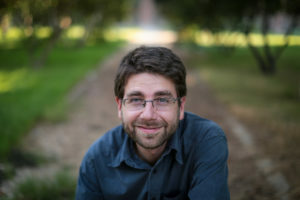 His research focuses on the classical Islamic theology (kalām) and the relationship between reason and revelation in Islam. He is the author of En finir avec la tolérance? Différences religieuses et rêve andalou (Paris, PUF, 2014), and Comprendre l’islam. Ou plutôt : pourquoi on n’y comprend rien (Paris, Flammarion, 2016). Click here to see his bibliography. Click here to see his authority record and list of publications on AlKindi.